Based in Denver, Cannables is a dispensary that was established in 2014. It bursted on to the scene at the US Cannabis Cup in Denver, taking second place in two separate categories. Awards Won (2) Are we missing any? Nectars Collective is a medical marijuana collective in San Anselmo, CA. 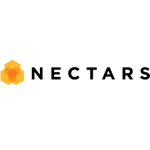 Nectars concentrate brand has high terpene levels and are cannabinoid rich. We are tested and validated for having low residual contaminants. We take pride in our medicine, and win awards because of it. 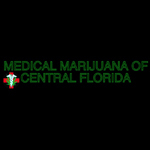 We will be a dispensary in Orlando, Florida. That is, if amendment #2 passes on November 04,2014. We aim to provide glass, medicine, concentrates, tinctures, and edibles to our patients. Terrapin Terpene Collective bursted on to the scene with in 2014 when they took 3rd place in their very first Cannabis Cup.